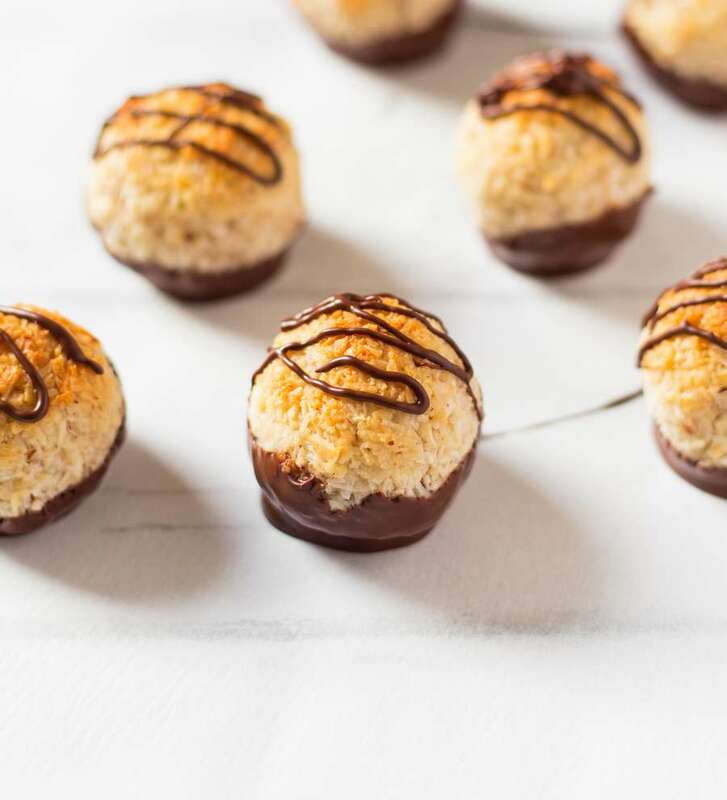 These Chocolate Coconut Truffles only require 5 ingredients and are ready in 20 minutes. 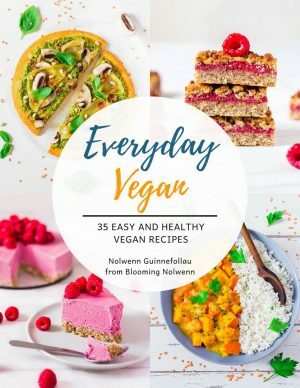 Vegan, gluten-free, oil-free and refined sugar-free! 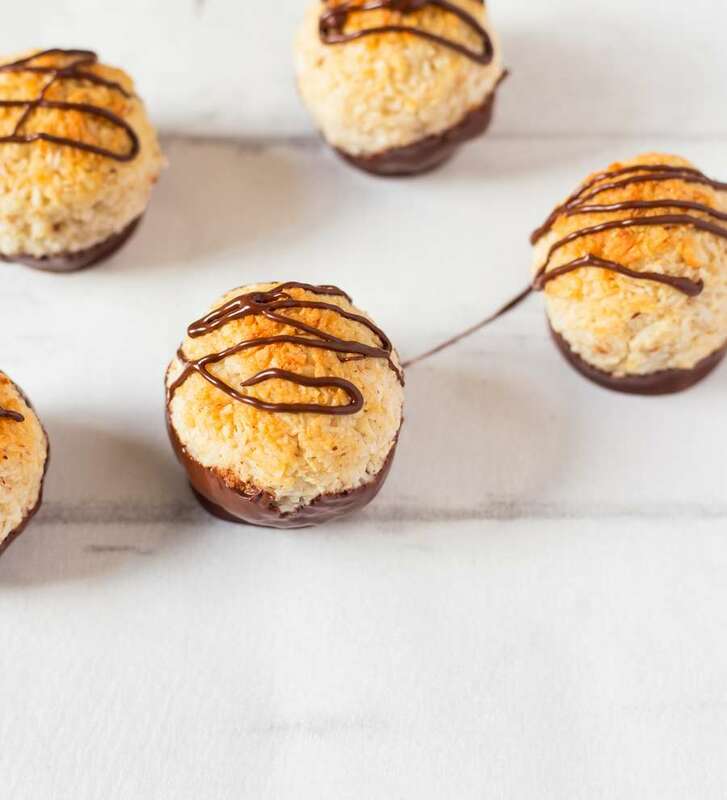 Chocolate and coconut go really well together, right? 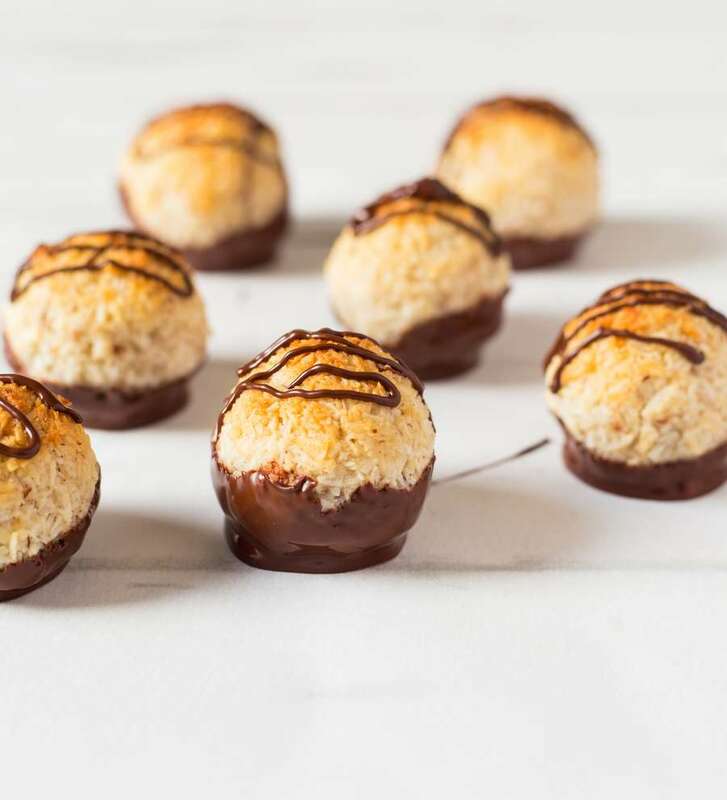 After creating my Bounty Slice with Brownie Base, which I couldn’t stop eating, I had to make chocolate and coconut truffles because the combo is just so good! 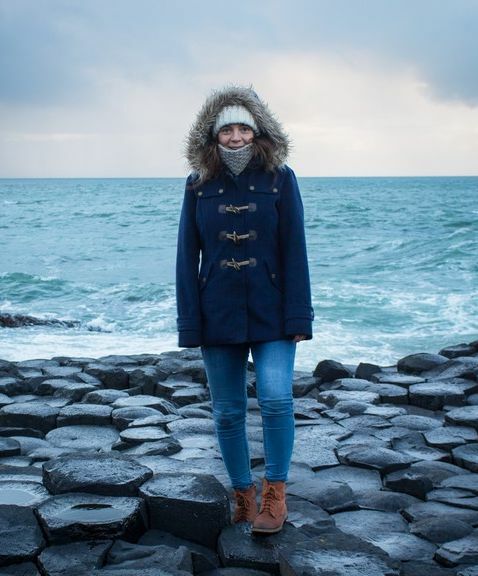 I mean, how could you resist these? 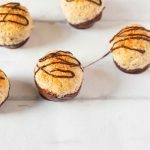 I love having easy dessert recipes on hand that I know I can make in 20 minutes and that everyone will love. 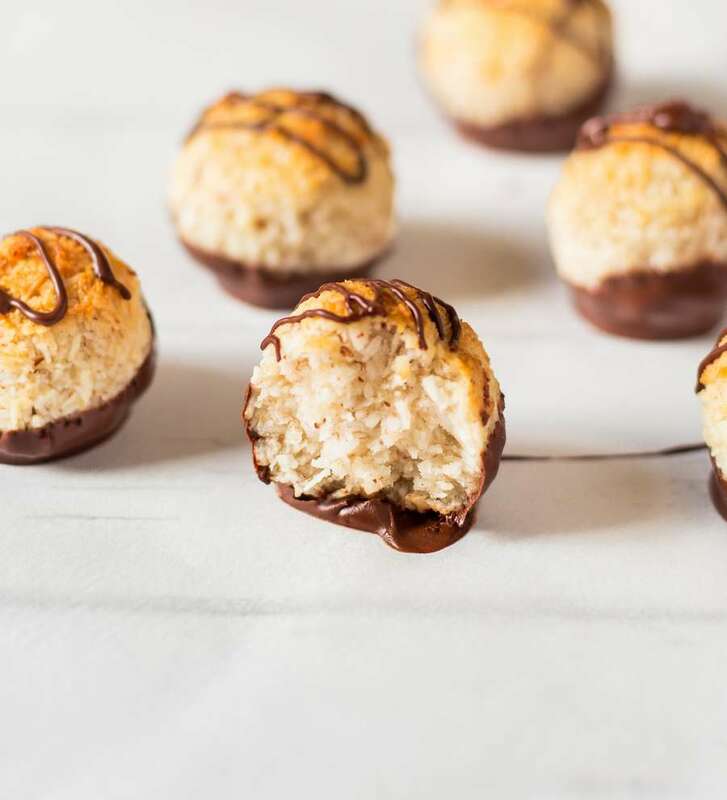 These truffles only require 5 ingredients and are the easiest thing to make, so if you have kids you can totally have fun making these together. These are also quite healthy because they are free from oil and refined sugar, so they make a great snack or dessert. 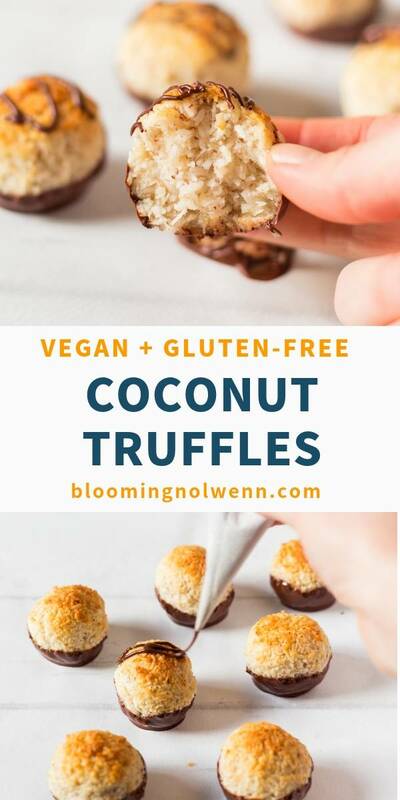 To make these vegan truffles, simply process shredded coconut, almond flour, agave syrup or maple syrup and coconut cream until the mixture sticks together. 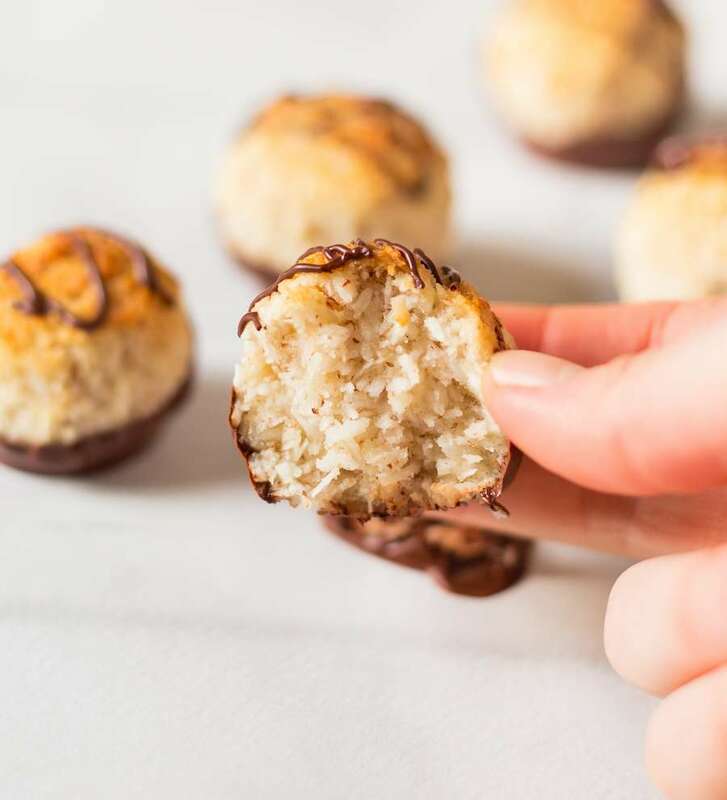 Form balls between your hands and bake until the top is golden brown and your kitchen smells like coconut. Then, melt the chocolate and dip the bottom of the balls. 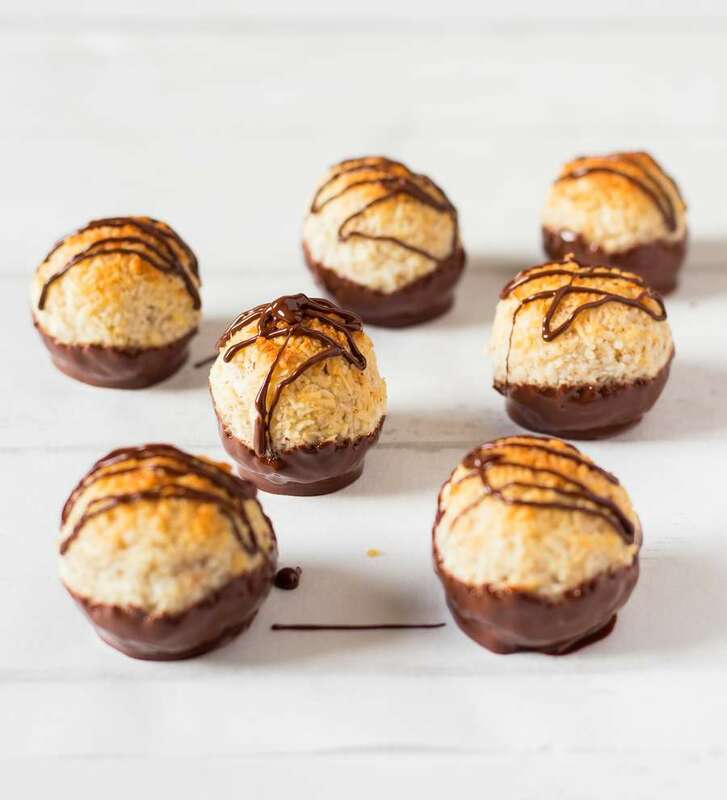 Drizzle some more chocolate on top and place the truffles in the freezer for 15 minutes before devouring! Preheat the oven to 350F or 180C. Add shredded coconut, almond flour, coconut cream and agave syrup or maple syrup to a food processor. Process until the mixture sticks together when you press it between your fingers. Scoop 1 heaped tablespoon of the mixture and roll it between your hands to form a ball. Repeat to make 8 balls. Place the balls on a lined baking tray and bake for 15-20 minutes or until the top is golden brown. Transfer to a cooling rack and allow to cool completely. 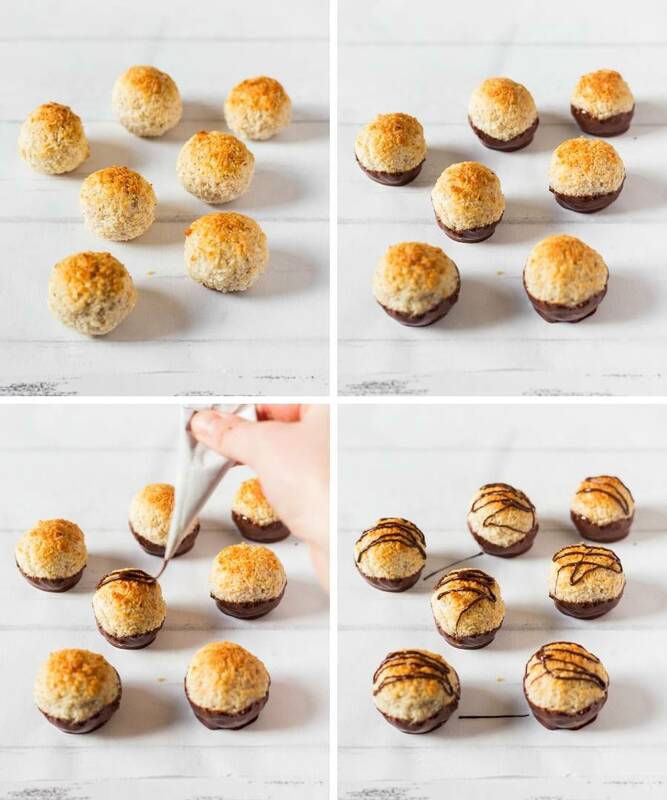 Melt the chocolate and dip the bottom of each ball. Then, drizzle some more melted chocolate on top. Place the balls in the freezer for 15 minutes before eating. Enjoy! Store in the fridge in an airtight container for up to 2 weeks. 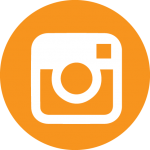 Please note that this post contains affiliate links. You can read my full disclosure at the bottom of the page.